Film Screening: "100 Years: One Woman's Fight for Justice for Native Americans"
Join the Crozier Center for Women and the Office of Diversity, Equity, and Inclusion for our final event in recognition of Women's History Month! At this event, attendees will view a documentary film about Elouise Cobell's class action lawsuit, which challenged the United States' mismanagement of trust funds belonging to more than 500,000 individual Native Americans. 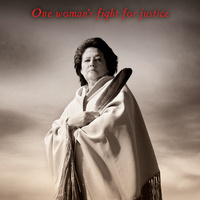 This film documents both Cobell's determination and work for the rights of indigenous Americans, which earned her the Presidential Medal of Freedom in 2016. A lively discussion will follow this final Women's History Month event. You can also view the trailer at www.videoproject.com/100-Years.html.